Fall is coming! Fall is coming! Fall is coming! I feel like Chicken Little as I type this. Soon it will be time to do Fall Clean-up of our projects. 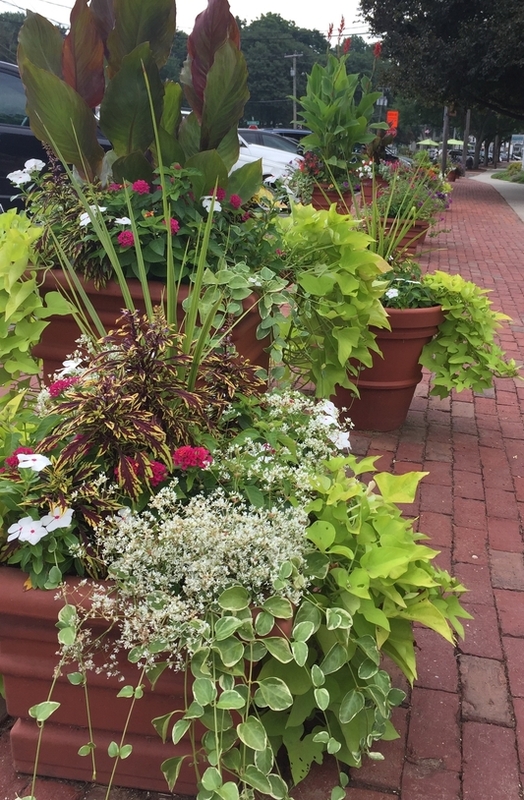 Gardens and Planters will need some TLC before we close down for the end of the growing season. Be on the lookout for our emails, Facebook postings/events and website updates for dates and times of these events. We will update this particular event as soon as we get closer to the date. Hello Wonderful Members & Volunteers! 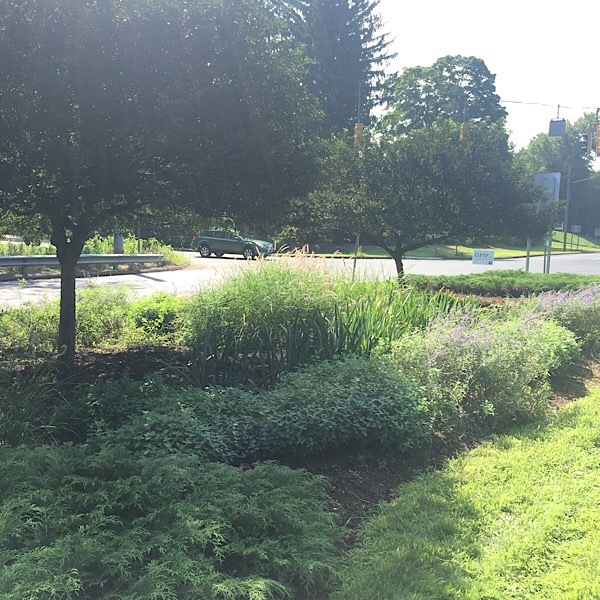 We are grateful that many of you’ve answered the call for help in making over the GPIP Rt 17 North Island Median gardens. Many hands make lighter work; it’s amazing what we have accomplished as a group. As I’m sure you are aware, the weather forecast for later this week is predicted to be over 90 degrees and humid with thunderstorms predicted on Thursday. These temps can prove dangerous for vigorous outdoor activities; namely digging perennials. Safety first. Therefore, Gary and I have decided to reschedule the North Island Makeover work. We understand fully if you’re unavailable to participate at the new times. We meet again for fall cleanup on Oct 20th. If you can come, please reply to a.asars@sbcglobal.net or text or call: Andra 860.538.6049. Please bring water, shovel, gloves, buckets & boxes to take plants home if you like. There are still a couple of months left in this growing season. Don’t give up yet! We are in need of maintenance help at Buckingham Garden and on the planters at S. Glastonbury, Main Street and Hebron Avenue. If you can give just an hour or two between 9/1 and 10/7 it would be greatly appreciated. Tasks include dead-heading and weeding, and watering at Buckingham. Pretty simple chores with fabulous results. Veterans Day is just around the corner! Calling all troops (members & volunteers)! Many are needed for planting. Due to our never-ending heatwave, we’re watching the weather and will send you an update of dates/times should they change. We will post on FaceBook, too. This is the perfect time to show your appreciation for our Veterans. These plants will last for years and be appreciated by so many people. Come plant something in honor of a loved one that served (or is currently serving). Help us prepare for a beautiful place for the Veterans Day ceremony for this year and many years to come. 7:00 – The meeting will begin with the greatly appreciated Girl Scout Gold Project Award presented by Zoe Kaputa, followed by the esteemed DAR Conservation Award presented by Jane Colby. A presentation will be given by Kevin Wilcox: Plants of Fall Interest. 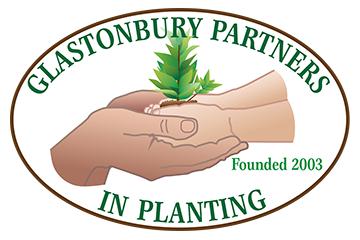 Kevin is on the Board of Directors for the Connecticut Horticulture Society as well as the Chairman for their Plant Forum. In addition to the awards and speaker, there will be a short Member Meeting to consist of a brief overview of how GPIP operates, treasurer’s report, project updates and voting for Directors and Officers.